Sometimes lower back pain is so severe it takes your breath away. If you’re suffering from chronic or severe lower back pain, help is a phone call away. Philip Striano, DC, with Hudson Rivertowns Chiropractic in Dobbs Ferry, New York, has freed hundreds of patients from their lower back pain. His chiropractic treatment doesn’t involve painful surgery or prescription drugs. If you’re looking for holistic health care, call or book an appointment online with Dr. Striano today. You’ll be glad you did. What is the chiropractic treatment for back pain? The joints, muscles, disks, and nerves in your back can come out of alignment from any of the conditions above. Chiropractic treatment involves correcting misalignment of the body's musculoskeletal structure, especially the spine, to relieve back pain. Many people are attracted to chiropractic treatment because it does not involve surgery or drugs. Chiropractors work on enabling the body to heal itself. Research supports chiropractic treatments. 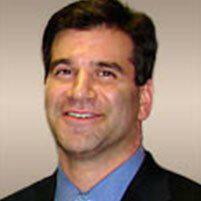 Dr. Striano uses manual manipulation procedures to relieve your pain. You lie face down on a chiropractic table during the treatment. Dr. Striano gently stretches your spine, using his hands to perform a rhythmic movement called the Cox Flexion Distraction Technique. How does chiropractic treatment help back pain? The manipulation technique smooths tissue covering your spine, nerves, and muscles that may have tightened and stiffened because of damaged disks. You may have trigger points that are very painful because the tissue has formed lumps. The manipulation releases the knots; the tissue then repairs itself from increased oxygen and blood flow to the area. Once the knots are released, your joints are more mobile. Along with the chiropractic treatments, Dr. Striano may prescribe back exercises you do at home that can bring relief. How does disk decompression help chronic or severe lower back pain? Dr. Striano treats severe or chronic cases of lower back pain with a nonsurgical technique known as disk decompression. You lie face up on a computer-controlled table with a special belt around your chest and hips. The lower part of the table with your harnesses moves back and forth, providing traction and relaxation. A computer-controlled machine, the DRX9000, moves the table, which stretches your spine; it’s the same idea as spinal traction, but it’s precise, controlled, and targeted to your pain. If your spinal disks are ruptured or bulging, the stretching removes the pressure so that the disks can retract — all without painful surgery. As an early adopter of spinal decompression, Dr. Striano has more experience with this technique than many providers. Call or book an appointment online today with Dr. Striano for the relief of your lower back pain.